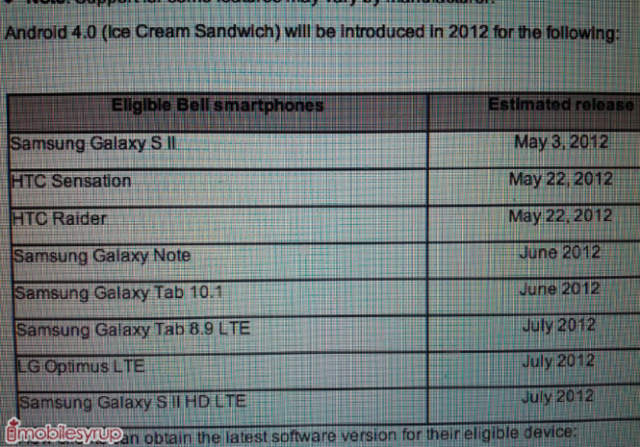 According to a leak from MobileSyrup a listing of devices to be upgraded to Android 4.0 is listed in a Bell internal document. As stated in the document the Sensation and Raider received their ICS upgrade right on schedule. This leads us to believe that the rest of the schedule should hold true. More after the break. 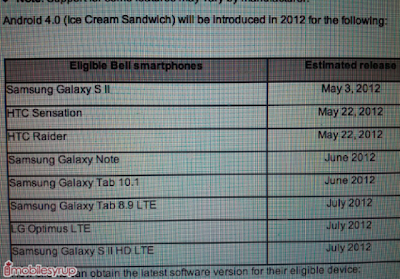 Looks like most people will have their share of ICS by the middle of the summer.